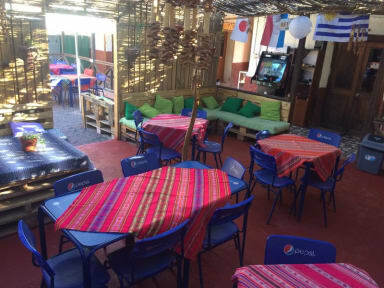 Great staff, the tours booked via Amanda from the hostal were great and you even get a discount! For the ones who have to leave early they even provide a little breakfast. Pangea was the perfect choise to stay. Nice common area to meet other travellers and always clean. Comes with good breakfast. 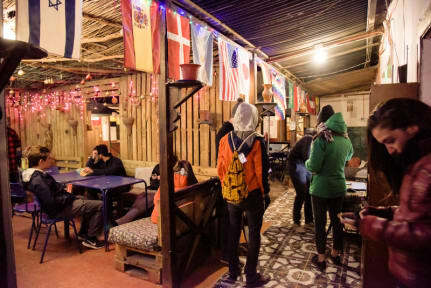 The Hostel has a really good location in San Pedro de Atacama. You can get there easily from the Bus Terminal and it’s a save place. The breakfast was a bread with Manja and Margarine , cereals with Joghurt, Cacao and Tee and Coffee. Unfortunately the lockers were a little bit small so you needed two lockers or seperate important from unimportant stuff.